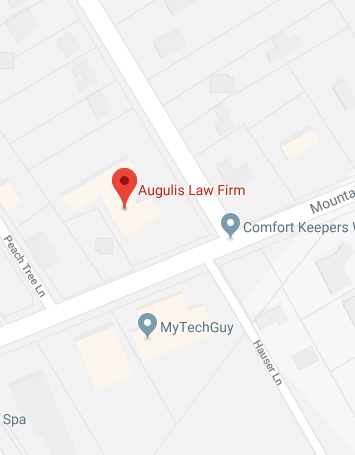 We are very glad that you found your way to the Augulis Law Firm website. As a local estate planning law firm that serves Woodbridge, NJ, we endeavor to do everything possible to provide personalized service to our neighbors. Without question, Woodbridge is a great place to live. There are countless restaurants, parks, and cultural and recreational events being held all the time. Plus, we have great proximity to New York, Philadelphia, and some of the best beaches on the East Coast. These are the reasons why we are proud to call the Woodbridge area our home. Things can get impersonal these days, because there are so many national chains. This is true when you drive down the street in your own town, and the Internet adds to this dynamic. Local businesses and professionals bridge this gap, and we are among them. When you work with our firm to craft your legacy, you will be discussing your objectives with someone just like you who has deep roots in the Woodbridge, NJ area. We are easy to talk to, because we speak your language. This is important, because it can be intimidating to talk about your estate planning goals with a person that you have just met. You will find that we are very down to earth, and we always do everything possible to make our clients feel completely comfortable from the moment they walk in our doors. You have to decide how you are going to get assets into the hands of your loved ones when you plan your estate, and you have options. A lot of people assume that a last will is the only way to go, and a will can sometimes suffice when very simple circumstances exist. However, in many cases, a will would not be the best choice. Though many people think that trusts are only useful for very wealthy people, this is really not the case. There are trusts that can be very effective for people who are not among the financial elite. One of them is the revocable living trust. These trusts provide a host of benefits that you would not get if you were to use a last will as your asset transfer vehicle. One of them is the ability to include spendthrift protections. If you hold on to your property up until the time of your death, and it is distributed through the terms of a will, the inheritors would get lump sum bequests. Many people are not especially good with money, so this could be a source of concern. Plus, a person who is usually levelheaded can get reckless when a windfall comes along. With a living trust, you could instruct the trustee to provide the beneficiaries with limited distributions over an extended period of time. Plus, if you include a spendthrift provision, there would be a certain level of asset protection. This is one type of trust that can be useful for a wide range of people, but there are others. If you work with our firm, we can explain your options to you so you can make fully informed decisions. We also help our neighbors here in Woodbridge who are concerned about long-term care costs. Here in central New Jersey, it can easily cost you well over $100,000 to spend a year in a nursing home. Elders often require multiple years of care, and about one fourth of people who are at least 85 are residing in nursing homes. Medicare does not pay for nursing home care, so this is something that everyone should address. Medicaid does pay for long-term care, but it is only available to people who can prove that they have a significant level of financial need. There are legal steps that you can take to keep assets in your family as you aim toward future Medicaid eligibility. However, Medicaid rules are complex, and we provide you with the guidance that you need to preserve your legacy. Every responsible adult should have an estate plan in place, and you should review your existing plan with an estate planning attorney if you have not looked at it in a while. Our doors are wide open if you are ready to take action. We offer no obligation case evaluations, and you can call us at (908) 222-8803 or send us a message to set the wheels in motion.